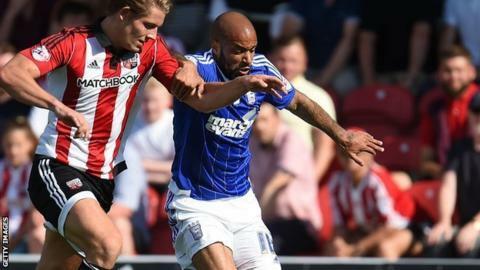 Ipswich Town striker David McGoldrick has extended his contract until the summer of 2018. The Republic of Ireland international, 27, has scored 22 goals in 60 league appearances since joining the club permanently in July 2013. He joins fellow Town forwards Freddie Sears and Daryl Murphy in extending his stay at Portman Road. "There is a real buzz about the place at the moment and it's great to be part of it," he told the club website. McGoldrick scored in Tuesday's 2-0 win over Burnley that put Mick McCarthy's side top of the Championship. Meanwhile, Town have signed 21-year-old former Reading goalkeeper Jonathan Henly on a one-year contract, and offered a deal to ex-Stoke forward James Alabi.